As first noted back on July 5, the Dumpling Shop is setting up house at 124 Second Ave. between Seventh Street and St. Mark's Place. The Dumpling Shop (“TDS”) is a fast casual restaurant focusing primarily on recreating traditional Asian dumplings with internationally inspired flavor profiles. 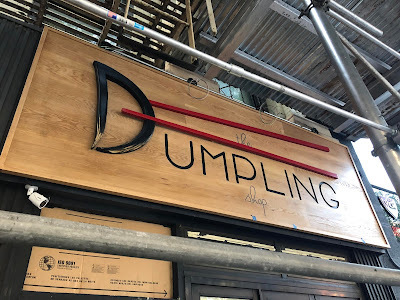 We push the flavor limits of what can serve as the filling to bring you original and bold dumplings that are familiar and exciting for dumpling aficionados as well as new fans. Here at TDS, we put a spotlight on the humble and ubiquitous dumpling and give it a platform to showcase its ability to transcend cultural boundaries and please the masses. A rent increase caused the previous tenant, San Loco, to shutter here in June 2017 after 21 years in business. A few too many adjectives. I understand the compulsion to over-sell one's product. But too many words results in bluster and de-sensitization. Shocking! Another dumpling place. Ugh...ridiculous. How many Chinese restaurants can we have on 2nd Ave? 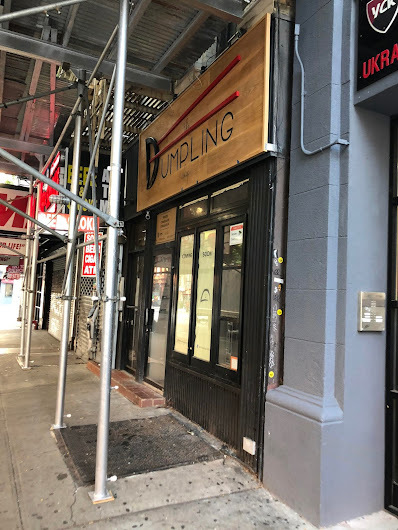 With the yet to be opened dim sum place @3rd St, this will be the 9 th or 10th between 3rd St and 13th St, not including multiple new ones on the adjacent side streets. And how many of these have opened in the past 4 months? I anticipate many empty restaurant spaces along 2nd Ave a year from now, just as there were 4 months ago.